OK, figured a new thread was in line in order to end my thread-jacking of the Monoprice thread that @anonymouse started. Looking for suggestions for a small, but nice sounding system to basically play music in our living room. A couple of things to note... We currently have a cheap-o Logitech 2.1 computer speaker system with a sub and "dock" (more like stand for your device and a 3.5mm plug!) that has been used to play music from our phones, ipods, tablets, etc. It's ok, but just ok... It looks like **** and just never fit right in the room. The room itself is NOT ideal for great sound. It's 22' wide by 13'-15' deep. There's a fireplace centered on one of the 22' sides and hallways leading out of the room on either side of the fireplace. It's got hardwood floors and a cathedral ceiling. I'm looking for something that looks good (why I was originally intrigued by the Monoprice piece) as this is my wife's room and it MUST meet her approval. I'd also like decent (warmer) sound and realize just about anything will be an improvement over what we have now. I've always wanted to try tubes and thought a small integrated might be the way to get my feet wet. Would like to keep the footprint small, so a full-size piece of equipment is not ideal. Small bookies are preferred. The amp and speakers will likely sit on the hearth to the sides of the fireplace (it's just a gas FP - not woodburning at this time), hence the need for the smaller size. 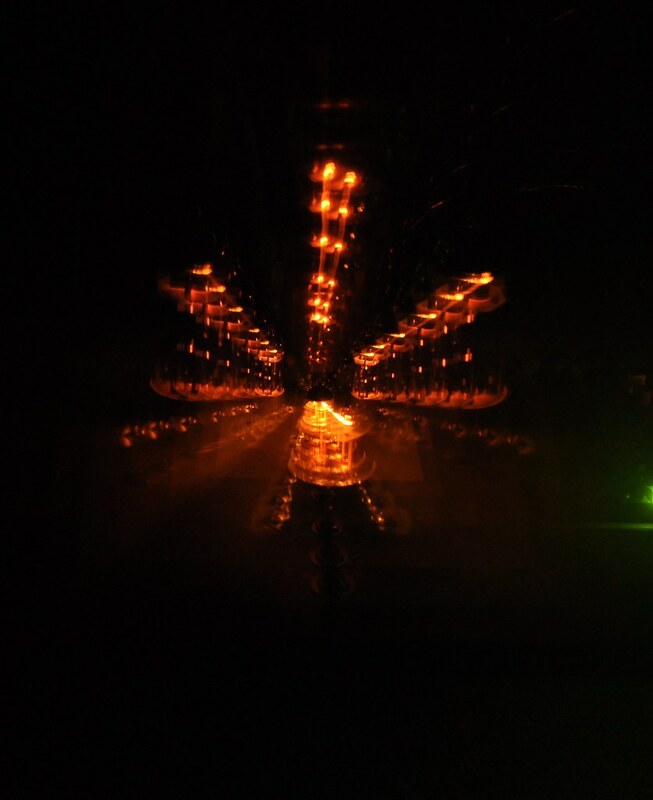 I've searched and found that some tube integrateds pop up here and there in the FM. Can't drop a ton of coin on this as we're still recovering from the holidays. I'd say my budget is $300 - $500 for an amp and speakers. I'm wide open to suggestions. And, yeah, I realize this is probably another rabbit hole! So, anyone have a tube integrated they're looking to pass along? I'm thinking Brock (@heiney9) might be able to help out or offer suggestions... The Yaquin's have caught my eye. They seem to fit the bill, seem recommended by (and popular among) members here, and look like they might pop up now and then used within my budget. Thanks in advance for helping kick me down another hole. I currently have 3 tube integrated's that I swap in and out of the office rig. Currently no plans to part with any of them, but I can offer some suggestions. $300 probably ain't going to get it done for both. If Chris (Cmstar01) still has these RTi 38s' these would be PERFECT for this set-up!! My 2nd pair of speakers in rotation in addition to my 5B's for the office rig are a pair of RT25i's which are superb! This is one of the little tube amps I have and it's fantastic!!! Tube input w/mosfet out put. Doesn't play at ear splitting levels, but it sounds waaaaaaaayyyyyyyyyy better than it should. And you can tube roll very cheaply, I can help. The tube cage comes off. Sorry for the Ebay Canada link, regular Ebay is blocked at work so I just use the Canadian site.....lol. These two together with a decent set of speaker stands will be much. much better than the monoprice amp and speakers. I am amazed at how good this thing sounds.....simply amazed. P.s. The HCT is not a toy and is built well and it's cool! I will look for a step up integrated also to recommend. The HCT above is a rebranded Dared MP-5 w/o the usb dac built in. The Yaqin's get good press here, but they are outside your budget especially if you decide to get better tubes (which you should). Jolida is solid, but again outside your max budget. There is a yaqin mc30l on audiogon for $500 but thats the full budget gone. I dont think it will be easy to get something cheaper and that mc30 would sound best leavcing room for upgrading tubes and having enough power for small bookies and bigger towers as you make your decent into madness! I bought Chris's RTi 38's mentioned above for a friend and I concur with Heiney those would be very fine and inexpensive used. I actually was quite surprised how good they sounded. Thank you all so much for the quick input! You guys (along with some others via PM) have given me great options. PFB - I couldn't find the Yaqin you're referring to, but I might be searching wrong on Agon... I don't use that site much. All that said, I should clarify a little on what I'm looking for. I guess I'm not dead set on tubes. I do have kids (good kids - 10 and 12 years old), so maybe tubes are not the best idea at this time. The room is not ideal, so SQ is not expected to be 'knock your socks off', but I do like good sound. This will MOSTLY be used (and by mostly, I pretty much mean darn near 100%) to play music from our phones, ipods, or tablets (streaming from Amazon, iTunes, etc. or from the mp3 files we have). So, I understand SQ is already somewhat jeopardized. That said, Bluetooth or 3.5mm to RCA would likely connect the source. Must be as non-intrusive as possible as space is limited. It will be on the floor next to one speaker, and the other speaker will be on the other side of the fireplace. Since it is going in my WIFE'S room (the living room is HERS - she's made that abundantly clear), it should look good too. I'm sure this changes things slightly! Would something with a built in DAC be high on the list? Does that even make a difference if connecting via 3.5mm/RCA? How about the Jolida FX-10 integrated tube amp? It's tiny, the tubes are visible, but behind glass, so pretty much kid proof. I heard this driving a pair of entry level Nola bookies and thought it sounded better than the mega buck MBL system in the other room. Seriously. I can second H9's rec of the Dared MP-5 hybrid with, in my case, 5A's. Lovely sound with 5A's in my tiny studio and with Hartley Reference Mini Towers in my 12x12ish office. Dunno about bigger spaces though. I'm betting it would work well with RTA11's too, but I haven't tried since they're at the beach. I second the opinion on the Jolida fx, I had mine for a year and had them rigged up to Martin Logan motion 15's. The Jolida sounded better than the mc10l from yaqin but not as much power, the FX had a better top end and mated well with higher end. The yaqin however just had this hard bass that could drive larger towers with ease. The HMS-100 looks really interesting! How about the Jolida FX-10 integrated tube amp? 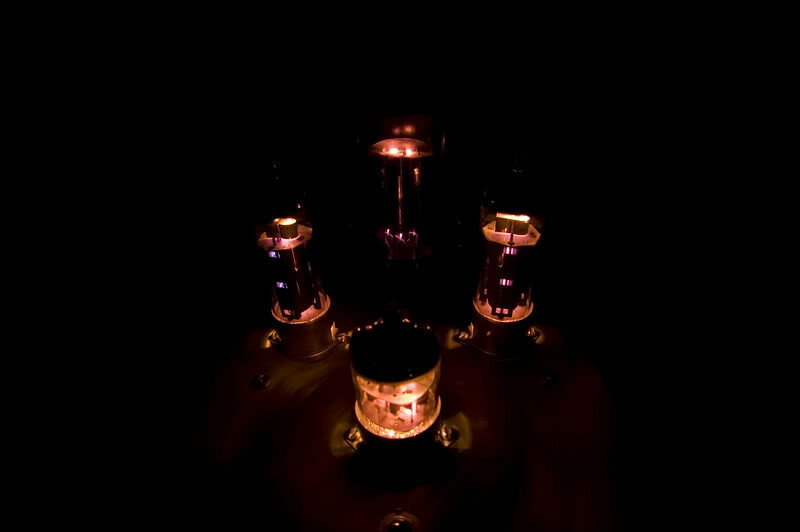 Although I am not opposed to a solid state integrated, I figure this might be a nice opportunity to give tubes a try. Any thoughts on the modded Pioneer SP-BS22-LR bookies in the FM? They are the right size and seem very highly regarded for their price point. Yes buy those modded bookies now!!!!!!! I had a pair and stock they are very good. They have a small footprint that will fit your need. If the mp 5 is like the fatman then I personaly would avoid it. There are some Jolida fx listed tonight on audiogon, see if you can hustle him down to $450? If the budget is so close that going over it means getting awesome sound it will pay off greatly later on! The SMSL Q5 PRO will also work for your situation. I had one and was surprised with the sound output. You could have a system for well under $300 bones paired with the Pioneer speakers. I am tempted to suggest a fleapowered amp like Steve Deckert's little "Zen" SE-84 (which was $500 when I got one way back in the late '90s and which do show up used now and again). Not much to look at, but they were handmade, simple... and... It's actually a pretty decent sounding little amplifier... BUT... VERY low powered (maybe 2 wpc, on a good day, downhill, with a tail wind)... not sure there are any small loudspeakers that would be very happy driven full-range with one. I found the Klipsch Cornwalls weren't even really sensitive enough for the amplifier when driven to moderately high levels with fairly undemanding "little girl with guitar" music... BUT, within its limitations, it is a nice sounding, simple, basic little amplifier. If you feel like trekking to New Hampster to grab it, I'd be happy to lend you mine if you want to try it out. 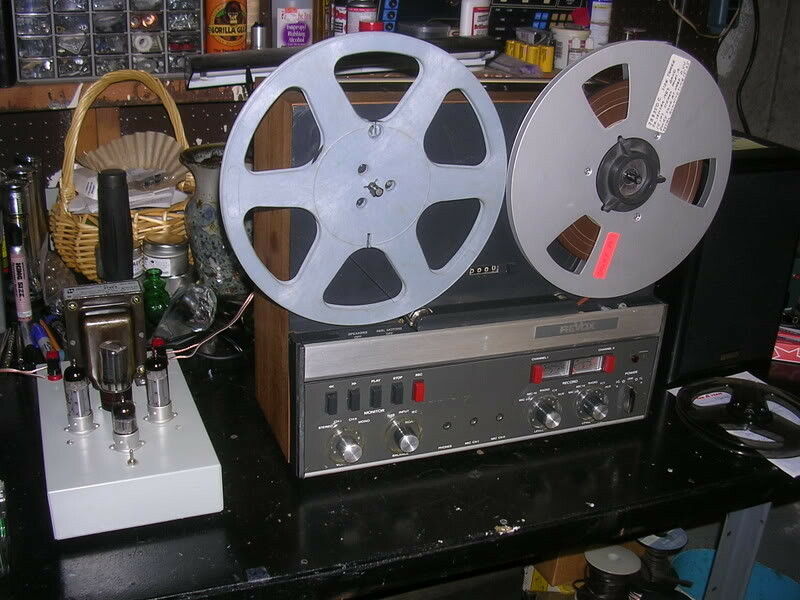 oh, here's a photo of the SE-84B. Also - That little SMSL digital integrated amp is intriguing... Worth considering if I want to hold off for a nicer tube amp. It would hide very nicely! Mark - That little Zen SE84 is very neat looking, but I wonder how well it would work with small speakers... Really appreciate the offer to try yours out, and if I was closer, I'd definitely take you up on it, but I'm traveling a LOT over the next three months (only within the borders of PA though) and a trip to lovely NH just won't work! Great pics BTW. I always enjoy your photos! Despite what PFB says there is nothing wrong with the Dared MP5 or the Fatman which is the same as the HCT. I've had two for years with zero issues. In fact it plays far beyond it's price. In fact PFB, please explain what is so bad about it? You're going to have to work hard to find a Jolida in your budget, it's not going to happen. Great guy, That's where lightman1 bought his new digs from. H9 it just never sounded very good to my ears, I just felt that the bass was really bloated for such a low power amp to the point it was anoying me. At the time I also got a pair of dared 20 monos I was going back and forth with night and day results. I purchased the Jolida a little later for $450 and did an A B with the Dared mono's and I used Martin Logan Motion 4 with all 3 primarily in the bedroom. The Dared mono blocks were my fav as they had great mids and make you smile and forget them. The jolida FX has a mutch better top end and sounded slightly more transparent and cleaner or neural....er? IIRC, when they came out they were $499.00, but I see now that the price has gone up to $650.00......sorry. Really apples and oranges with those comparisons. For a $200-250 tube hybrid, you won't find anything close. It's not going to dig deep or play very loud, but for the OPs application and budget it'll be hard to beat on bookies. I'd choose the FX10 to if money wasn't an issue for him. I am giving him the best advice for his budget and his application as he has laid it out..........let's not loose sight of that. Funny you mention that one... I saw a link to it when I checked out the off brand Conradicles mentioned. I was actually looking at that exact model today over lunch. I was wondering the same thing - if anyone else heard of or had any experience with it that is. I want to say that Rick88 had something similar? I'll have to look through old threads, but I seem to recall something similar a while back. Yeah, it's not tube, but might be worth considering, unless members here tell me to avoid it for some reason... It is pushing the limits of my budget, but is currently on sale for a hefty markdown on Amazon only. What hifi seems to like the Nad better. I want to say that Rick88 had something similar? I'll have to look through old threads, but I seem to recall something similar a while back. Thanks for that link Tony! In all honesty, I probably don't need anything with all those options like the DAC, the USB streaming, Ethernet connectivity... All that would probably just confuse me or p!ss me off because I couldn't get it to work right!